This Book of Memories memorial website is designed to be a permanent tribute paying tribute to the life and memory of Stephen Hirsch. It allows family and friends a place to re-visit, interact with each other, share and enhance this tribute for future generations. We are both pleased and proud to provide the Book of Memories to the families of our community. It is with great sadness we announce the passing of Stephen Hirsch better known as Steve. He passed away on Thursday, May 24, 2018 at Indian River Medical Center in Vero Beach, Florida following complications from heart surgery. 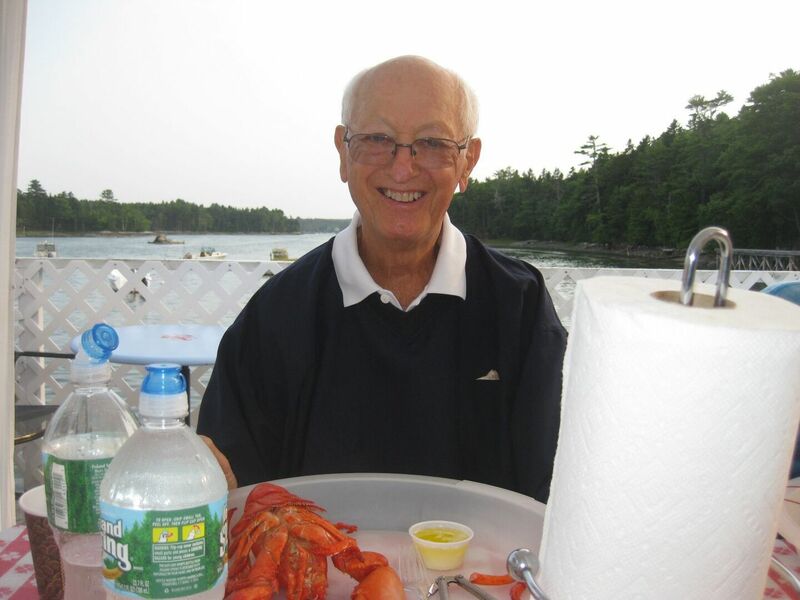 After retiring from a long successful career with Equitable Life Insurance he enjoyed volunteering at Pemaquid Light House, Darling Marine Center, Harbor Branch Oceanographic Institute, Indian River Medical Center and as a teacher’s assistant for fourth graders in Fellsmere, Florida. Steve split his time between Vero Beach, Florida and Damariscotta, Maine and truly loved both communities. He enjoyed all sports. Tennis, golf and fishing with his family at his home on Biscay Pond topped his list. He is survived by his much loved family, his wife of fifty nine years, Claire Hirsch, daughter Debbie Danielson and husband Larry,son, Rick Hirsch and wife Jean Kerrigan, and grandchildren Kyle Hirsch, Jordyn and Karli Danielson. Contributions may be made in his memory to Karl’s Kids, an organization that helps youth in Lincoln County, Maine, 18 and under with sports related expenses that might otherwise prevent them from participating in athletics. Donations can be made in Steve’s name to Karl’s Kids, P.O. Box 565, Damariscotta, ME 04543, or one can donate online at Karl'sKids.org/donate. If donating online please share your email address so that the family can recognize your kind donation.